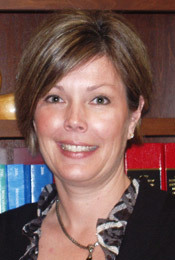 Sondra Paton has over 20 years experience as a paralegal. Her career has been devoted entirely to practicing as a paralegal in a litigation setting. Her experience enables Sondra to provide high quality, professional service involved in investigating the myriad facts and issues that arise with each case. Her skills enable her to efficiently and effectively interview clients and witnesses and gather and manage records and documents in a fashion that allows us to analyze and digest the facts and issues involved in a case. She is involved in the preparation of the discovery that is necessary to prepare for and win a case at trial. As trial approaches, she is involved in the preparation of the exhibits that will be used at trial under the direction of the attorney who will try the case. In short, Sondra's work as a paralegal consists of doing the work outside of the courtroom that results in our success inside the courtroom. Away from the office, Sondra and her husband spend their time keeping up with their three teenage children.